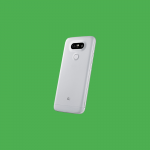 The LG G5 was launched in early 2016 with a gimmicky modular concept and Android Marshmallow. It was updated to Android Nougat later that year and since then users have been waiting for Android Oreo. Back in May, the LG G6 started getting Oreo and the LG V20 and G5 were said to be close behind. That update looks to be imminent in Korea. Thanks to XDA Member cheeze.keyk, we can see that LG has posted Oreo kernel sources for the F700K, F700L, and F700S, which are Korean model names for the G5. This means the Oreo update should be rolling out soon to those devices and hopefully more variants soon after. This would mark the second major Android version update for the device, which is what is usually promised to owners. If you’re interested in the kernel sources, you can download the 189 MB file from the link below. This update will include all of the usual Android Oreo goodies, such as battery improvements, picture-in-picture mode, Autofill API, and more. LG has tried to put more emphasis on updates with their Software Update Center, and so far it seems to be paying off. They still have a lot of work to do to change their reputation in the Android community.